Seventy-four-year-old Paul Nabor hails from Punta Gorda, a sleepy, coastal town of 6,000 in southern Belize. This parandero, or old master of the Paranda musical style, is also a buyei, a spirit medium and healer who attends to his congregation at a Garifuna temple he built in Punta Gorda. Legendary Paranda singer and songwriter Paul Nabor is in the Punta Gorda Hospital recovering after falling ill with Pneumonia and some dehydration last week. We became aware of the story when, the 85 year old, who is a few weeks away from his 86th birthday was flown into Belize City via air ambulance from Punta Gorda yesterday. He was flown in for a CATSCAN because doctors in the south thought he might have had a stroke. According to Darius Avila, the well known PG-based cultural activist who is overseeing his care, the scan was negative for a stroke and Nabor was flown back to PG as was his wish. Avila says he spoke to Nabor today where the legend said he was feeling better. Avila says that they're hoping for a full recovery because they plan to throw a party for him on PG Day on February first. Paranda Legend Paul Nabor is back in the hospital. The 85 year old Punta Gorda Resident was re-admitted to the PG hospital yesterday. His friend and care give Darius Avila tells us that the doctors say that he is still weak and his condition has not improved but he remains stable. 10 days ago we reported that he was diagnosed with broncho-pneumonia. Duie to his advanced age, doctors have said it ids best not to move him at this time, and they'll have to wait a few days to see if he improves. Nabor will be 86 on Sunday January 26th. His legion fans will be celebrating his birthday on Sunday, with a 7:30 am mass at St. Peter Claver Church in Punta Gorda Town. Then, on Saturday, February 1, 2014 they will have a major Paranda concert in his honour at the PG Sports Complex. Proceeds from the concert will be donated to Nabor to assist with his medical expenses and care. Organizers will also be accepting birthday gifts in the form of cash or kind for the legend. 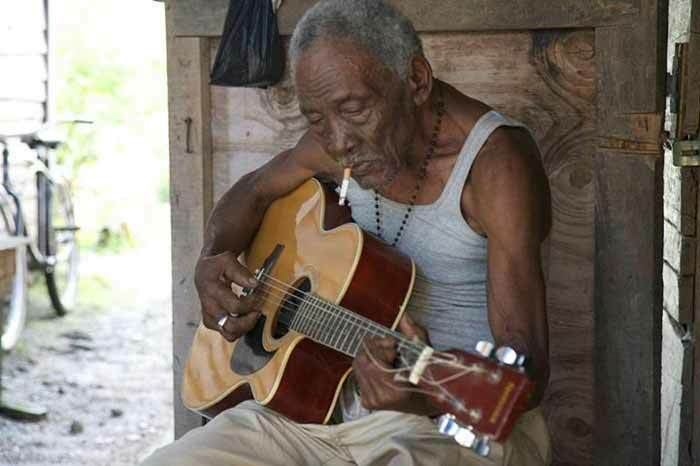 Belizeans countrywide were recently much relieved and happy to learn that the ailing musical legend Paul Nabor was released from the hospital and was at home recovering his strength in time to join in his already planned birthday celebration in Punta Gorda. Another musical legend, a veteran musical giant of the Caribbean and the world, the Mighty Sparrow, is reportedly also much stronger, and in fact is visiting his hometown in Trinidad during the upcoming Carnival season. Sparrow was reportedly in a diabetic coma a few months ago in Brooklyn, New York, where he has resided for years. Sparrow is no stranger to Belize, where he has a strong and loyal following among Belizeans of the ‘60’s and 70’s and later generations. Though he first visited Belize City in 1969 at the height of his career, and again in 1995, as well as on a couple other occasions, Belize remains one of the few countries where the universally acclaimed “King of Calypso” has not yet been officially honored with the “keys” to our city. Indeed, it would be an embarrassment to the old capital, were the Mayor of Belmopan, where also reside some staunch Sparrow fans, to be the first to send the “keys” invitation to the now 78-year-old musical genius and living legend. I would like to propose to our open-minded and visionary Belize City Mayor, Darrell Bradley, that his Council partner with NICH and “beat Belmopan to the punch” by setting up a grand meeting of musical legends at a gala event at BTL Park or Memorial Park. Perhaps a good friend of Sparrow, our other musical legend, Lord Rhaburn, could introduce Paul Nabor to the Mighty Sparrow, who is only a few years younger than Nabor, who is reportedly 83. Nabor and Rhaburn, also in his 70’s, could then present Sparrow to the Mayor to receive the “keys” to Belize City. It would be a rejuvenating experience for us veterans, and a real learning opportunity for our many young people, whose musical education could use some historical exposure. Such an endeavor would serve to amend a terrible past oversight by previous Belize City mayors, and it would also be a huge event, attracting visitors and tourists from far and wide, as there are Sparrow fans everywhere. He has already been honored with countless awards and the “keys” to very many cities across the hemisphere, but not yet in the Jewel. Belize City must correct this flaw on our record, and thank God they are still with us. This is our chance to make good and show appreciation to two musical legends. Why not? Even if Sparrow cannot come due to medical reasons, it will salve our soul to know that at least the Jewel did make the gesture. In anticipation of the event, our radio stations could embark on a month-long musical documentary (selected pieces) on the phenomenal musical output of the Mighty Sparrow (of course, not all his material will meet the “PG” test for radio broadcast).